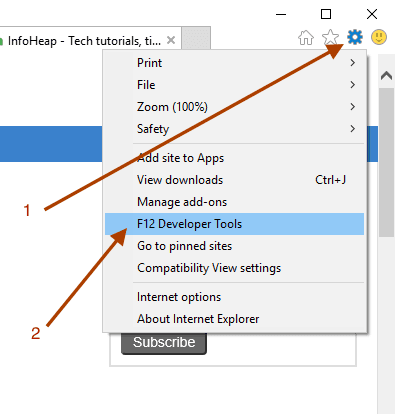 Open developer tools in IE11 by clicking on Settings and the “Developer Tools”. Click on browser mode tab in developer tools as shown below. Select the desired IE version (e.g. IE9, IE10, etc.). Now you can browse the page you want to test in selected IE version.